Mech C&W, Electric Loco Shed and T.M.S. , Kanpur, Allahabad Division North Central Railway. 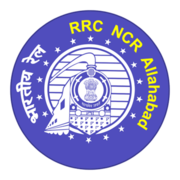 Eligible candidates may apply online at RRC Allahabad's website (direct link is given below) from 30 Nov 2018 to 30 Dec 2018. Candidates log on to http://www.ncrald.org/index_ncr_act_appr_3_2018_1028.php. Read the information carefully & Click on "Click for Online Application". After applying online applicants need to send the print out of online application form along with attested Photostat copy of High School or its equivalent (under 10+2 system) Marksheet, Certificate, ITI marksheet (all semesters) and ITI certificate issued by NCVT in an envelope to Office of the Sr. Divisional Personnel Officer, Personnel Branch/Recruitment Section, Room No. 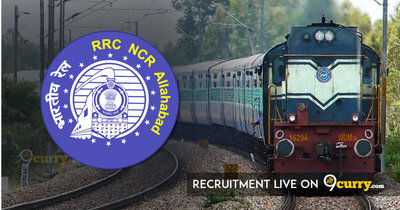 112, Allahabad Division North Central Railway, Allahabad (Uttar Pradesh), Pin Code- 211001. The application with all relevant documents should reach on or before 31 Dec 2018 til 05:45 PM. The candidates may also drop his/her application in the box on any working day between 10.00 AM to 17:45 PM up to 31-12-2018 in the Office of Sr. Divisional Personnel Officer, Allahabad (Personnel Branch/ Recruitment Section - Room No. 112).